Hey everyone! Did you all have a great weekend? I spent the weekend in Lancaster, PA shooting archery. It was a great time with friends, and I shot pretty good! I also started my last semester at SVSU last week! As I am officially job hunting, it is going to be a crazy busy, but good semester. Oh! That reminds me! You guys should all check out my new graphic design website. I would love your thoughts on it. Ok, on to the project I have to share with you today. One of my favorite stamp sets from Sale-A-Bration (which means you can get it for FREE!) is Big Day. It is an awesome stamp set for everyone's birthday! This particular card I copied right from page 12 of the Sale-A-Bration Catalog. I just switched up the colors to Soft Sky, Blackberry Bliss, Tangelo Twist, and Gold. 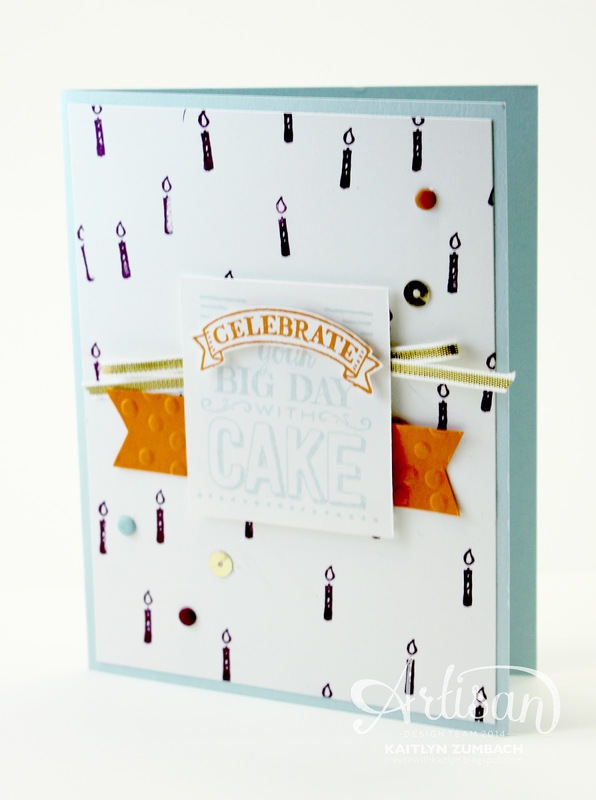 I stamped the "Cake" sentiment twice to create some awesome dimension and make the "celebrate" pop off the card. To get that look for the Gold Ribbon, fold it in thirds and just staple it to your card front. Do you love this card and stamp set? 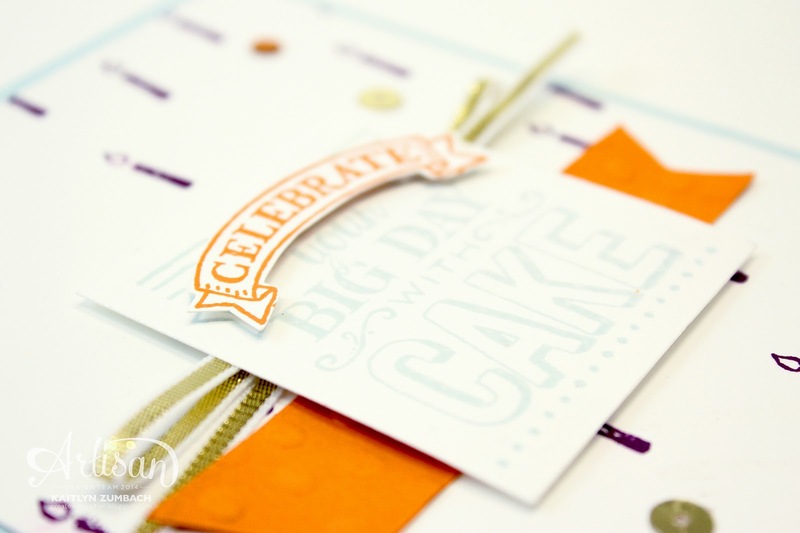 I have three more cards to share with you using this stamp set and color scheme. Once I post them all, I will share an offer with you on how you can get the supplies to make the cards! So, stay tuned! Your graphics design site is clean, crisp and exciting. Best of luck in this final semester!